The shooting of Ajith’s Vivegam has been wrapped in Belgrade, Europe. The team will be heading back in a few days’ time. Few minor patch work is what is left to be shot before beginning the post production work. The film involves a lot of CGI work headed by Hariharasudhan (Gemini VFX supervisor) who had worked in movies like Mugamoodi in the past. The teaser had few impressive VFX shots which looked so real and similar output is expected throughout the movie. 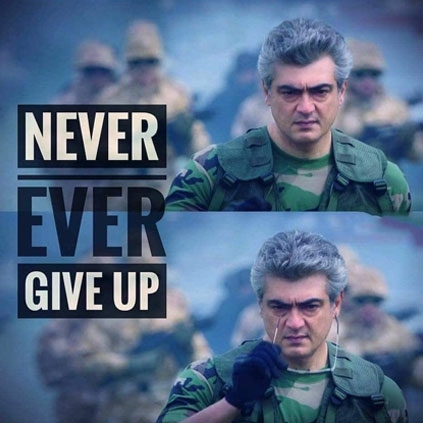 Vivegam’s technical team would be having a tough but exciting couple of months of work. Is Ranbir Kapoor getting married? Yet another big star turns singer for the first time! Aamir Khan just now made a massive announcement about his next! Baahubali 2 to beat the lifetime box office collections of this biggie!